Genuine Kia Carens Black Velour Carpet Mats. These high-quality velour floor mats will protect your Kia Carens interior from everyday dirt and enhance its look at the same time. 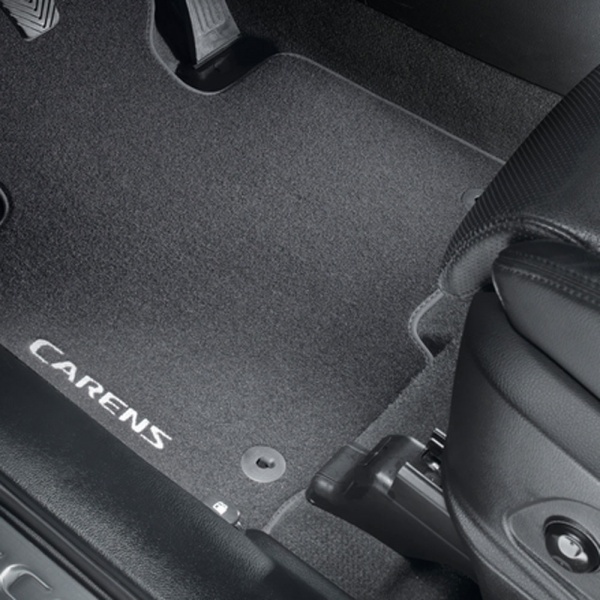 Tailor-made to fit the Carens footwells perfectly, they feature the Carens logo in the front row and are held in place with fixing points and an antislip backing.